What’s a woman to do when she gets pregnant? Can she still see a chiropractor? A woman’s body goes through massive changes physically when she’s pregnant, and pain unfortunately becomes a part of the deal. In my Los Angeles, Beverly Hills and West Hollywood chiropractic practice I see many pregnant women; and I have found that, as a group, mothers-to-be are some of the most “in need” and dedicated chiropractic patients of all—they get it, and they love it! So let’s take a look at why pregnant women do so well with chiropractic care. That glorious experience of having a child comes with many facets, each having its own joys and its own challenges. The challenges are of both the mental and physical variety, but it is the physical changes that a woman goes through, and how it affects the comfort of her body, that we will focus on here. I am not writing this piece as an obstetrician or a pregnancy expert. I am writing it, instead, as a chiropractor who makes observations as he treats people, and in this case, his observations on pregnant women. Pregnancy is split into three trimesters, each one with its different discomforts. Trimester one is when some women get nauseous—morning sickness can be awful. My wife had it bad with our second daughter, and it pretty much knocked her out for the entire three months. But not every woman gets sick, so for them, the first trimester is a good time to get the chiropractic care and other health regimens started. The second trimester is relatively comfortable for most women, especially if the first trimester was spent hanging off the side of the boat. But this is when the external body changes start to really show themselves. Women start “showing” that they are pregnant at around months four or five, which means that the baby is starting to grow. This growth leads to an increase in weight and pressure on the woman’s body, particularly her low back. The restrictions placed on the pregnant woman’s positioning while lying or sleeping is also a contributor to body aches and pains. Trimester three is the tough one. Momma’s weight and size expand significantly as baby goes through a growth spurt. Finding a comfortable position for lying or sleeping gets increasingly difficult in months seven and eight, and you can add sitting and walking to the list of discomforts. Come month nine—fuggedaboutit—there is no comfortable position at all. 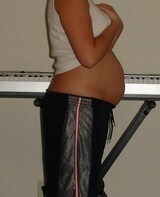 But worse yet is the discomfort felt due to the growing baby. The way the growing baby can stress out a pregnant woman’s body is primarily by the weight coming down on her low back and sacrum. The force of gravity acting on the fetus and pushing it downward is an incredible pressure on the lumbar spine, which can ultimately lead to the spinal joints in the area fixating. Remember that fixated joints are called subluxations, and subluxations lead to decreased motion and pain. Subluxations also lead to an increase in muscle spasms and inflammation. But most ominously subluxations can irritate sensitive nerve tissue, which can lead to excruciating pain and disability. The musculoskeletal discomfort of pregnancy typically begins in trimester two. 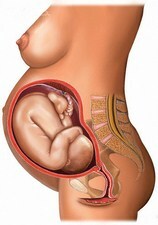 As the baby starts growing, pregnant women are instructed to not lie in the supine position, or flat on their backs. The problem with doing so is that the weight of the baby can come down on the inferior vena cava (the main vein returning blood to the heart), cutting off the blood supply to the uterus. This can ultimately compromise the pregnancy. Being unable to lie flat on their backs or their bellies, pregnant women must try to get comfortable either on their sides or in the Fowler’s position, which is essentially on their backs but at an upright angle. Either way, comfort for mama becomes a fleeting luxury. Here are the unfortunate consequences of lying on one’s side or in the upright position constantly—the low back muscles along the spine get very tight and very sore. What this ends up becoming for a pregnant woman is a sore, aching back. Massaging these muscles is very useful, so pregnancy massages are a warm and welcoming treat for expecting mothers. Again, as baby grows, the pressure of the weight coming down on a pregnant woman’s back can actually lock up the spinal joints. And the overall extra weight a woman has to carry can alter her movement in general and specifically when she walks. This alteration in gait can lead to sacroiliac subluxations, along with subluxations of the lumbar spine. This is a double whammy for pregnant women, and let me say, it is very painful. Sacroiliac subluxations cause pain while walking, while lumbar subluxations cause massive pain while sitting and especially after lying in bed for awhile—or in other words, first thing in the morning. It’s a little easier to understand why expecting mothers are our true heroes. Pregnancy is wonderful, but it’s like a fifteen round heavyweight bout and marathon put together for some women. Finally, the weight of the baby descending into the pelvic basin can put pressure on thesciatic nerve internally. 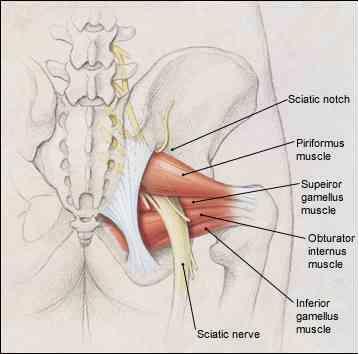 The way the sciatic nerve exits the pelvic basin is by passing underneath the piriformis muscle, which sits deep in the buttocks. It also passes just above the superior gamellus muscle, so it is essentially sandwiched between two muscles. The descending fetus, then, squeezes the sciatic nerve between the two muscles causing inflammation and severe pain. Although nothing can be done about the internal pressure on the sciatic nerve, a chiropractor or physical therapist can help you by working on the piriformis muscle. Because the piriformis muscle contracts every time we take a step, the altered gait of a pregnant woman creates an enormous amount of stress on it, making it tight and even spasmed. All the more reason to see a chiropractor to have the piriformis relaxed and tended to. By visiting a chiropractor, a pregnant woman can have her subluxations detected and corrected eliminating at least one source of pain and discomfort for her. By adjusting the spine and pelvis, motion returns to the joints allowing greater freedom of movement—a godsend to pregnant women whose lives become limited enough due to the baby’s and their own growth. A good pregnancy chiropractor will also be able to massage those sore, tender areas of the low back, particularly the low back muscles at the arch, hips and buttocks. These areas are especially susceptible to the extra weight, and nothing feels better than getting those painful areas massaged, relaxed and feeling good. As for sciatica, and this is so common among pregnant women, a good pregnancy chiropractor can work out the tight piriformis muscle, as well as the tight and spasmed muscles around the hips, and stretch the hip flexors too (which incidentally get very tight in pregnant women). When it comes to feeling good during pregnancy, nothing beats chiropractic as a pregnancy health regimen. Regular chiropractic care during this very special time can also prepare the body for the marathon of labor. Along with a prenatal yoga program and/or regular stretching, walking, and working out, chiropractic can help pregnant women stay in shape which will pay off big time in the delivery room. 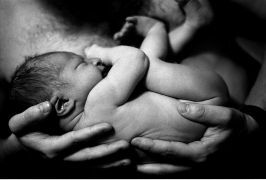 I speak from experience treating many pregnant women in my Los Angeles, Beverly Hills, and West Hollywood chiropractic practice, as well as treating my own wife during our two pregnancies. If you are in the Los Angeles area, and you are looking for a chiropractor, please come see one with a near decade of experience in treating pregnant women. You will not only feel much better throughout the entire pregnancy experience, but you’ll be ready to deliver in great health—and that’s what it’s all about for new mothers; healthy mother, healthy baby. Choose chiropractic.